First of all, WOW. Just WOW. The last week has been AMAZING! The Black Panther Red Carpet was just WOW and the MOVIE itself is mindblowing. This event has been one of the best times of my blogging career! Another amazing part of it is the interviews that we as bloggers get to participate in! 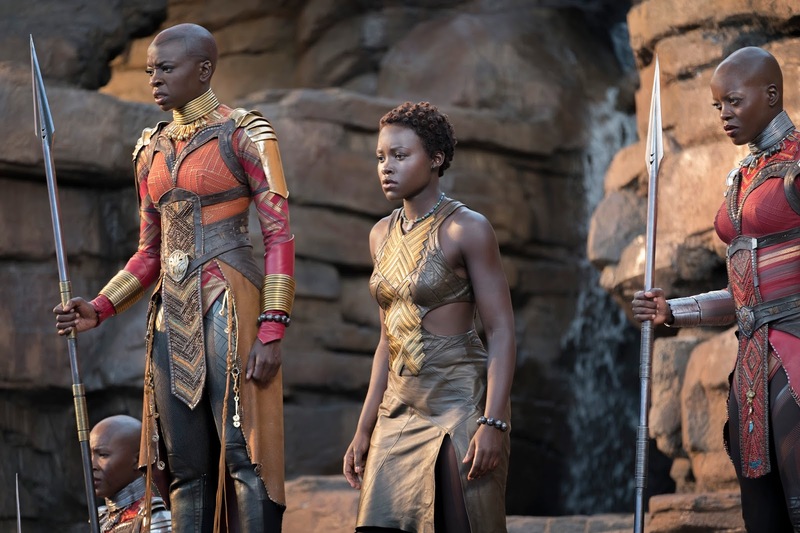 One interview that I loved was Black Panther's Lupita Nyong’o (“Nakia”) & Danai Gurira (“Okoye”)! Nakia is a War Dog, a Wakandan spy often imbedded in countries outside of Wakanda to observe and report back. She must decide whether she should be guided by her duty to her nation or her feelings for T’Challa. 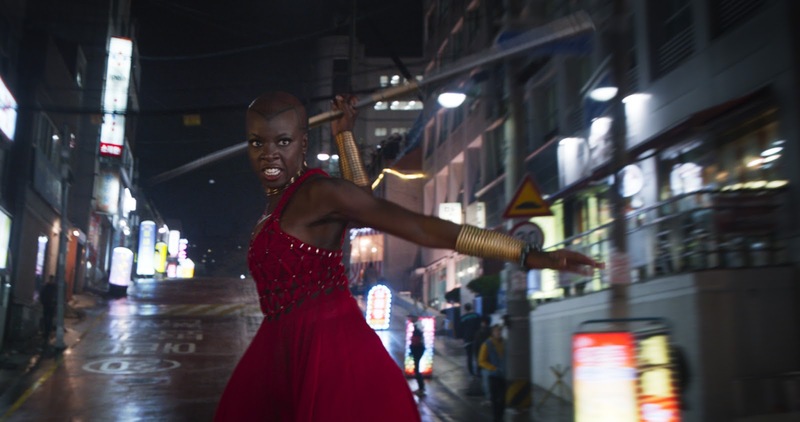 Okoye is the head of the Dora Milaje, the all-female Wakandan Special Forces. She is the best fighter in Wakanda who is not named the Black Panther, and she is fiercely loyal to the throne. I can't wait to tell you more about this interview! I am going to pick some of my favorite questions and share their answers with you! First of all, the vibe from these two gorgeous women was just AMAZING! 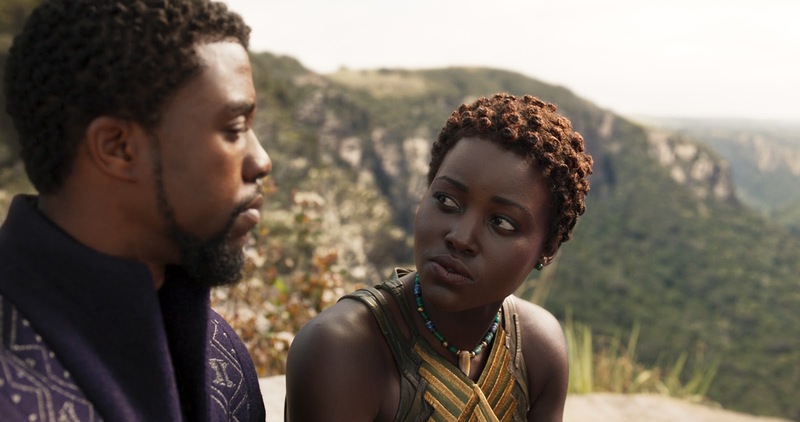 They are the sweetest too!When watching this film, you will notice that Nakia and Okoye can definitely hold their own. The first question was amazing because it gives a bit into their characters. In which ways do you identify with your characters that helped you develop them as the strong independent women they are? Lupita said: "I identify with Nakia’s independent spirit and her feeling her loyalty to her country." Danai said: "I definitely related to her, you know, her power and purpose." Both can relate to the way their characters are dedicated to their nation and how they are dedicated to their people. Lupita said that training was a big part of getting into character because understanding how someone fights reveal a lot about what their values are and who they are. Lupita said: "Well I think for both of us especially when we’re dealing with African representation in story we feel such a strong sense of responsibility and desire, deep desire to see African women on screen that look and feel like we know them to be. And so with these characters we wanted them to be women that we know and like the women that I know are complex and they’re deep and they’re about something other than just the man in their lives and so I think that was really important to us." We also learned that it was also important To Ryan to have woman who stand on their own in the movie. The big question was the hair! Danai had to shave her head for the role and was getting used to it. It was mentioned it was a huge statement in this film. Danai said: "You often don’t see Africanisms celebrated and so I think that completely connects with the hair. I love what the hair department and the costume department did. They really pulled from real actual cultures and ethnic differentiations and how hair is celebrated across the continent traditionally and currently. I think there is something really powerful about all the ways that hair was represented there because I think there are so many things that tell us, you know, the thing that tells those of African descent or, you know, people who get categorized as the other that there’s one way that they should actually manifest themselves in society in order to be accepted or acceptable." Other questions and answers would give spoilers, however, I plan to include them as soon as the movie comes out! Until then, check out my movie review! And do not forget- Marvel Studios’ BLACK PANTHER opens in theaters everywhere on February 16th! YOU HAVE TO SEE THIS!